Now that he's free from Capcom, Keiji Inafune has formed two brand new companies. Mega Man creator Keiji Inafune was with Capcom for more than two decades, but resigned in October 2010 to find his "next challenge." 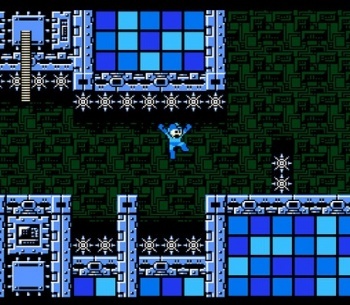 That challenge has been revealed as two new companies called Intercept and Comcept which Inafune is now the founder of. Comcept will be a company with a broad focus on entertainment in general. It'll focus on various types of game/content planning, development, management, and distribution, in addition to other forms of entertainment like books, video, and music. On the other hand, Intercept is focused purely on videogames. Inafune calls it his "new challenge for consumer game development." He plans to create products with original concepts that'll draw people in and continue to be appealing through the ages. Both companies are based out of Tokyo and have a working capital of 10 million yen. On April 4, Infaune is holding a press conference where he'll lay out some of his plans for Comcept and Intercept. These plans will probably include hiring a bearded CEO for Comcept and a mustachioed CEO for Intercept, who will both eventually end up building robots that fight each other.